FROM THE RECTOR There appears to be very little space in the Newsletter for the Rector this month, which indicates how busy the parish is! 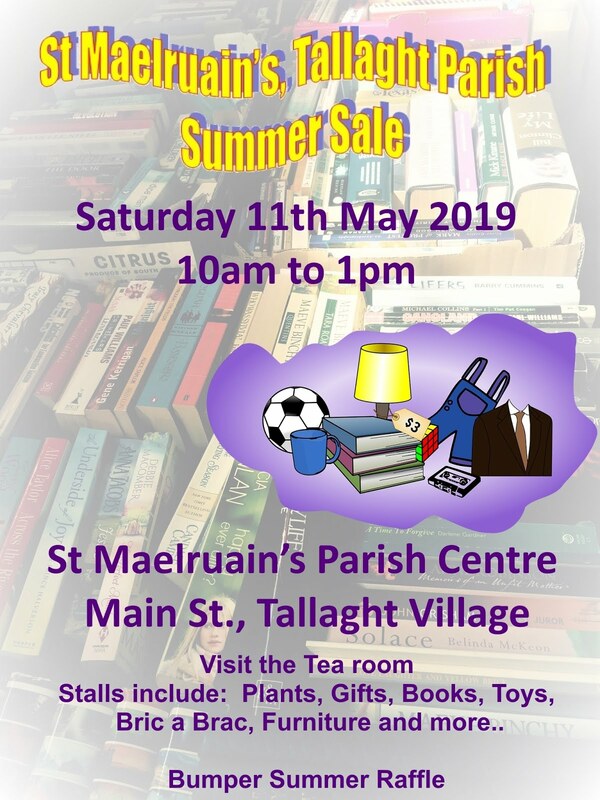 As this is the last Newsletter before September may I take this opportunity to wish all the readers of St. Maelruain’s Newsletter a very happy and safe summer. 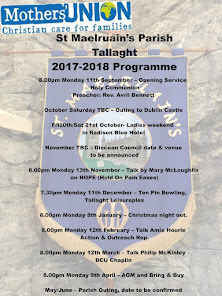 I would like to thank all those that volunteer during the year to ensure the running of the Parish and it’s organisations, your work is very much appreciated. Just a little reminder that although the organisations are finished for the season the Church doors remain invitingly open every Sunday during the summer months. God bless, William. Rector's Churchwarden: Joseph Jeevanayagom. People's Churchwarden: Vivienne Bright. Select Vestry: Hilary Armstrong, Jim Bird (Hon. Treasurer), Laura Fryday, Brian Good, Percy Griffin, David Harley, David Hutchinson Edgar (Hon. Secretary), Peter Manley, Olivia McHugh, Derek Sargent, Alan Scott, Bobby Wilson. CONFIRMATION As we go to print, our Confirmation Service will take place on Sunday 4th June in Christchurch Cathedral at 3.30pm. Please pray for the eight candidates who have been prepared for Confirmation, they are: Adam Bugler, Chimarokem (Chiboy) Eriobu, Adachukwa (Ada) Erioubu, Emma Okafor, Kaosisochukwu (Kaosi) Okafor, Ganiru Ikedife, Chidalu Ikedife and Chukwuebuka (Ebuka) Ikedife. 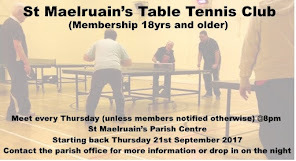 TABLE TENNIS The club has now closed for summer and will reopen mid September. We held our AGM in early May and had active meeting. Regina Donoghue was elected as Hon. Secretary, Vivienne Bright as Hon. Treasurer and Committee members are Bobby Wilson and John Byrne. We hope everybody has a safe and happy summer holiday. FLOWER GUILD We were all very sorry to hear of the passing of Imelda Bird who was one of the flower guild for many years. It came as a shock to us all. We will all miss her cheery smile and pleasant humour and of course the floral arrangements that Imelda provided for our pleasure in the Church. Our thoughts are with Jim, Ruth, David and Hazel . Thank you to all the flower guild members for their ongoing help with the flowers. It is very much appreciated. MOTHER’S UNION / FAMILIES FIRST Before I say anything else I would like to extend sincere sympathy to Jim Bird and his family on the very sad passing of his wife Imelda in April. Imelda was a loyal member of our branch and we will miss her very much. Company Section: Squad Cup: Callum O’Dwyer. Endeavor Cup: Daniel Parkhill. The Bible Class Shield: Callum O’Dwyer. Captains Shield: Kyle O’Dwyer. Anchor Section: Manor Kilbride Cup: Jack Bolger. Anchor Fancy Dress Competition: Jack Bolger. 100% Attendance Awards: Jack Bolger, Charlie Bolger, Darragh Kelly, Callum O’Dwyer, Kyle O’Dwyer. Laughlin Millennium Trophy: Andrew Saunders. WHIST DRIVE The Whist Drives during the summer month will take place on Monday 19th June, Monday 17th July and Monday 21st August in the Small Hall, all welcome! 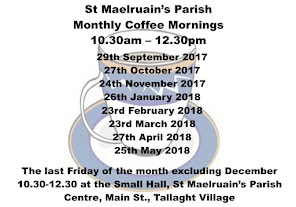 PARISH COFFEE By the time you read these notes we will have had our final Coffee Morning on 26th May. We have enjoyed steady attendance again since September with quite high numbers on a couple of occasions. Thank you all again for your donations. Every penny you donate goes to parish funds except for one donation to a charity each year. In 2016 total donations amounted to €1103.60. From this the Parish received €977.10 and we sent €126.50 to the Alice Leahy Trust for their work with the homeless. Have a lovely Summer and we look forward to brewing up for you again in September. Vivienne, Gina and Barbara. CROSSROADS A Church of Ireland Social Group, Crossroads meet on the last Friday of each month in Buswells Hotel, Molesworth Street at 9.00pm. 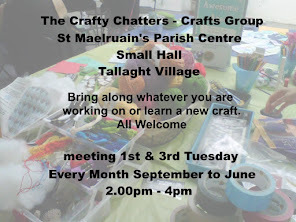 TALLAFEST Tallafest a Town & Country Fair in The Priory, the Village including St. Maelruain’s organised and run by Tallaght Community Council, will take place this year on Saturday 24th June, 12pm – 5pm, volunteers are needed to man the church grounds, please contact the Rector 086 803 0239 . Program of events: Kidzone – Arts and Heritage – Create Zone – Sports Zone – Nature Zone – Live Stage – Craft and Food Market. For more information check out their website www.tallafest.ie It always proves to be a fun day for all the family, put the date in your diary! S UMMER SALE The Summer Sale took place on Saturday 28th May. To say it was a wet day was an understatement, we kept checking to see was there an ark on the horizon!! Despite the torrential rain we were actually slightly up on last year. Thank you to Ronnie Scott for coordinating the sale and to all those who helped on the stalls, with the teas buying and selling raffle tickets and with the setting and clearing up – all your help was very much appreciated. SCHOOL NEWS We look forward to Active School’s week from 12th to 16th June. This will focus on health, fitness and diet of our pupils. This week will include: basketball, swimming, sport’s day, gaelic, healthy lunch box and much more. The senior pupils will visit Baysports in Athlone, Co. Westmeath for their school tour and the junior pupils will visit Kilbeggan Farm, Co Meath. Finally on the 28th June we will say goodbye to our 6th class pupils at their graduation ceremony and wish them well in their future. PRAYERS FOR THE PARISH have finished for the summer break. BIBLE STUDY of the reading for the following Sunday continue on Tues evenings at 8.00pm upstairs, Parish Hall.